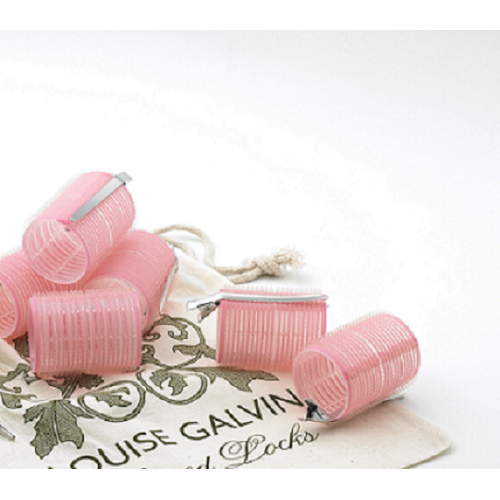 Louise Galvin’s Sacred Locks Volumising Kit is ideal for that ‘blow dry at home’ feel with a professional finish. The kit is perfect for last minute party preparations, travelling and hair on the go. The perfect gift for women of all ages. Comprising six easy to use, salon professional Velcro rollers with sectioning clips for added hold and right-to-the-root lift, presented in a Fairtrade Louise Galvin cotton pouch, the Volumising Kit is the perfect solution for great ‘hair-on-the-go’. Celebrity colourist Louise Galvin has over 20 years' experience in the hair colouring industry. 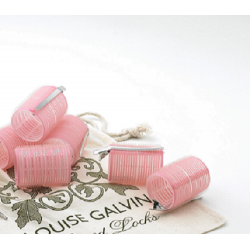 Her in-depth knowledge of coloured hair has led her to create the revolutionary Louise Galvin Sacred Locks haircare line. Louise is also passionate about the environment and is committed to creating products that mean you can achieve luscious locks guilt-free. No animals are harmed in the testing of her products and any greenhouse gasses that are produced during manufacture are off-set by investment in The Carbon Neutral Company. The products use only natural or naturally-derived ingredients such as essential oils, natural extracts and vegetable-derived moisturising and conditioning agents in place of harmful, artificial preservatives. They are also free of sulphates, parabens, silicone, petrochemicals, synthetic fragrances and polymers.